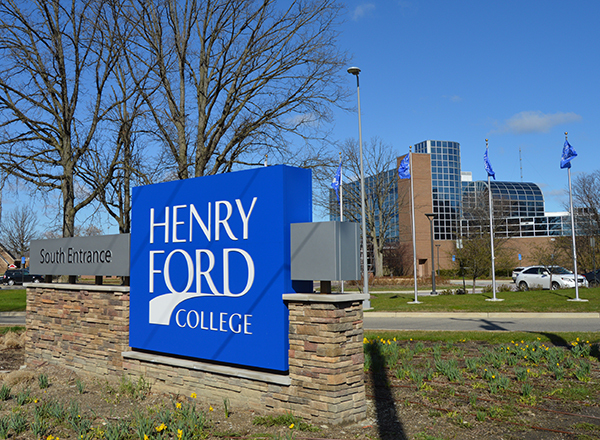 Henry Ford College has just completed searching for its next president. The Board of Trustees interviewed each candidate the last week in March. After the final interview on March 28, the Board selected Russell A. Kavalhuna to be the next president of Henry Ford College. The five candidates who made it to the final stage in the process were: Russell A. Kavalhuna, the Executive Director of Western Michigan University College of Aviation; Michael A. Nealon, Henry Ford College’s Vice President of Academic Affairs; Casandra E. Ulbrich, the Vice President of College Advancement and Community Relations for Macomb Community College; Thomas D. Watkins, the President and CEO of the Wayne Mental Health Authority and Christopher M. Reber, the Chief Executive Officer of the Community College of Beaver County, Pennsylvania. When choosing a president there are several communication tools that are utilized to inform the college’s Board of Trustees, the administration, the students and faculty, and the college community about each candidate. HFC made each presidential candidate’s curriculum vitae public. In addition to publicizing their individual credentials, HFC provided an anonymous online form where various groups on campus could share their thoughts about each of the applicants and where the Board of Trustees could be informed about general concerns that students, faculty, administrators, staff, and the rest of the college community may have. Public forums were held on campus during two weeks in March so people could get to meet the presidential candidates face to face and ask them questions about their plans for the school. Those who were not able to attend the public forums were provided the candidates’ contact information. During the search process, The Mirror News reached out to each of the presidential candidates to learn more about their perspectives on HFC’s future, ideas about courses and degree programs, plans for campus improvements and what they want readers to know about them. Casandra Ulbrich, Thomas Watkins and Christopher Reber agreed to share their perspectives. Russell A. Kavalhuna was not available for comment, and Michael A. Nealon, who currently serves on the Mirror News student newspaper board, was not able to respond. Each of the candidates were promising prospects. Kavalhuna, who is a licensed attorney and former airline pilot, is bound to help Henry Ford College reach new heights of success.